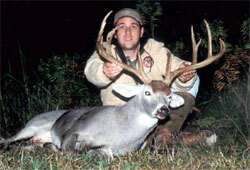 Howdy and welcome to WireGate Ranch, the home of central Texas' finest trophy whitetail deer hunting. Come on in and browse around. Check out the pictures, our history, and the reasonable prices. You'll be glad you did! WireGate Ranch is a proud member of the Texas Trophy Hunters Association, the Texas Deer Association, and the Texas Wildlife Association. We're located deep in the heart of Texas, and our #1 priority is putting the serious whitetail hunter in a position to get the trophy buck of their dreams. The hunts are guaranteed, the facilities are comfortable, and the food is excellent. 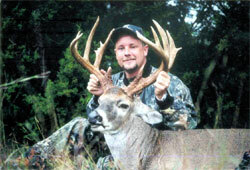 You'll have a memorable time while you're getting your great trophy whitetail. Book your hunt with us today! Copyright � 2019 Wiregate Ranch. All rights reserved.